The Airline Quality Rating (AQR), which studies the performance and quality of the largest U.S. airlines, found that that the industry’s mishandled baggage rate fell from 3.24 per 1,000 passengers in 2015 to 2.70 per 1,000 passengers in 2016. Mishandled bags include claims for lost, damaged, delayed, or pilfered baggage. But the numbers don’t matter when items have been stolen from your bag during your travels. And that’s where Secure Wrap baggage protection service comes in. Secure Wrap stations are located in the airport departure levels near check-in desks at 54 airports in 17 countries. 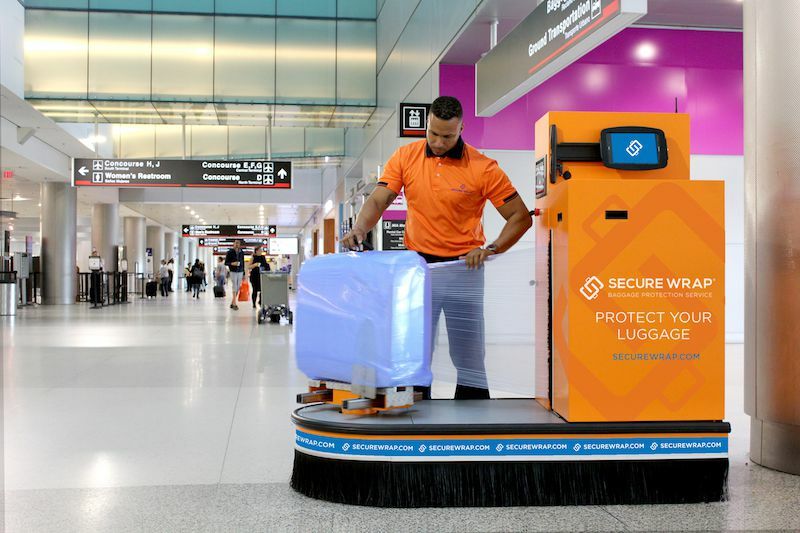 The stations feature a machine designed to wrap and protect baggage using a 100 percent recyclable, non-toxic, tamper-resistant/evident plastic film in mere seconds. But this isn’t the case for other countries, where there is a real and great chance of an inside threat that a traveler’s personal belongings will be opened and perhaps taken, said Farah-Valdespino. “A lot of passengers come to the U.S. to take important or necessary goods back home and they can’t risk having them removed from their bags or even have items that aren’t theirs be put in as mules,” she noted. For even more protection, Secure Wrap places a unique QR code on every bag it wraps, said Farah-Valdespino. “Customers can register their information with the QR code and in the event of loss, it can be traced back to them,” she said. Airlines can scan the Secure Wrap QR code to obtain the passenger information. “Bags get lost when an airline tag is misplaced, causing them to have no idea to whom it belongs to. By scanning the QR code with any smartphone it will allow them to obtain the passenger’s name, email, flight number, and departure city to more quickly reunite them to their lost luggage,” she said.